For the first time in four months, suspended NBC News anchorman Brian Williams is meeting with groups of colleagues and apologizing for misstatements that embarrassed the news division. It's already being dubbed an "apology tour." Williams spent time with staffers of his former program, the "NBC Nightly News," on Thursday afternoon, shortly after the network made it official that he will not return to the newscast. That meeting was also emotional, but for different reasons. 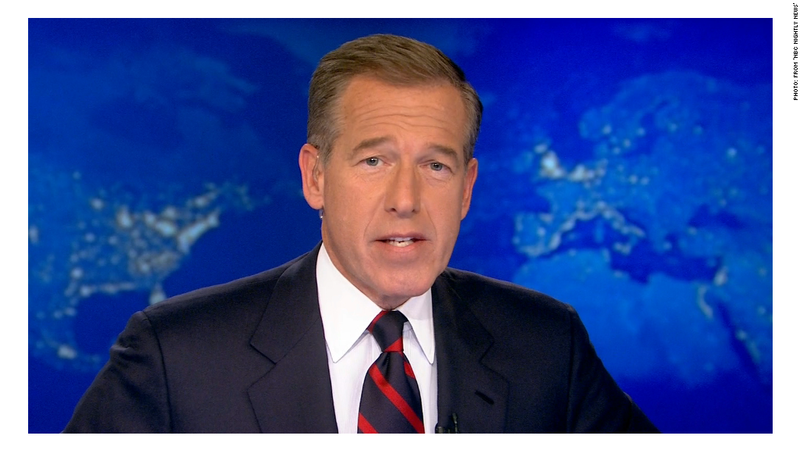 Some well-known NBC journalists in the Washington bureau are wary of Williams; others are downright hostile. On a recent visit to the bureau, NBC News chairman Andy Lack faced resistance to the idea of bringing Williams back, and only one correspondent, Jim Miklaszewski, spoke up in support of Williams. The Washington Post has previously described what one article called "strong opposition" to Williams' potential return. An NBC News spokeswoman declined to comment on the private conversations. But one of the people familiar with the meetings said Williams was "deeply apologetic" during his conversations with the Washington staffers. The decision to visit the bureau suggests that Williams and Lack are aware of the uphill battle they face. In both New York and D.C., Williams was joined by Lack and NBC News President Deborah Turness. Williams' image rehabilitation involves a sit-down interview with "Today" show co-host Matt Lauer, which was taped earlier this week and will be televised on Friday morning. The comeback effort apparently also entails the meetings with staffers. Williams broke his silence in a statement that was included in an NBC's press release on Thursday. "I'm sorry," it said, unequivocally. "I said things that weren't true. I let down my NBC colleagues and our viewers, and I'm determined to earn back their trust."